Keystone uses files on your computer’s drive to store the contents of the web site, so we’ll need a place to work. I’ll use the keystone directory of my Documents directory, written as ~/Documents/keystone. 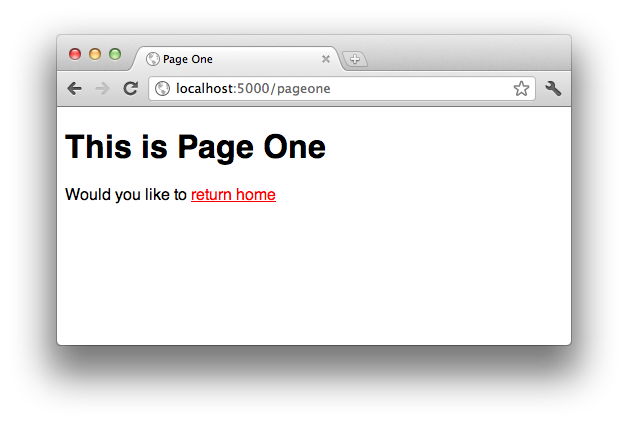 If you already know HTML, you’ll recnogize this as a very basic HTML page. If you don’t, this might be a good time to learn HTML5. You’ll probably be able to follow this guide without being an expert, but some familiarity will help. As you can see, there’s a simple mapping between filenames and the URLs that your web pages are accessed at: to convert from a filename to a URL, drop the ”.ks” file extension, with the special-case that “index.ks” is accessible at both its normal URL (/index) and the directory root for the directory it appears in (/). To convert from a URL to a file, take the URL path (everything after the http://server.com/), and add the ”.ks” file extension. Web requests for static files (like /static/style.css) are served directly if the file exists. You may also have noticed (and it bears pointing out anyway) that when you change a file, Keystone notices this and renders the new version immediately. 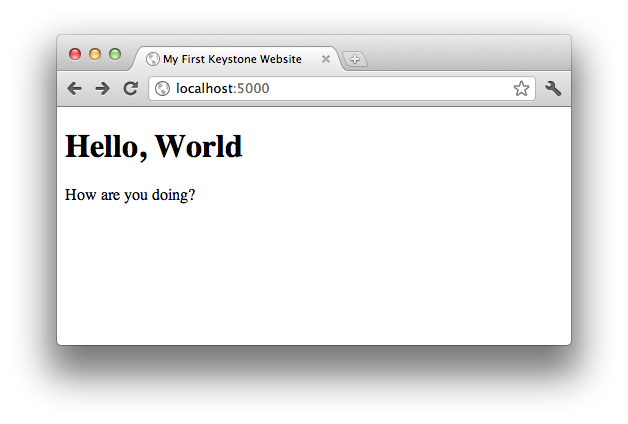 Thus, under normal circumstances, there’s no need to restart keystone during development of your web site.